On Monday, February 29, 2016, experience An Evening With Neil Young when Fathom Events, Warner Bros. Records and AARP present a special, one-night screening of the critically-acclaimed post-apocalyptic musical comedy, “Human Highway,” along with the Neil Young's concert feature, “Rust Never Sleeps,” in select movie theaters nationwide live at 8 p.m. ET / 7 p.m. CT / 6 p.m. MT and tape-delayed to 7:30 p.m. PT, HI and AK. 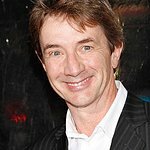 The special cinematic event also features an exclusive live Q&A with Cameron Crowe interviewing Young and his eclectic cast, which includes Gerald V. Casale of Devo, Russ Tamblyn and Charlotte Stewart. 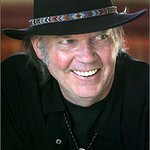 Tickets for “An Evening With Neil Young” can be purchased online beginning Friday, January 15, by visiting www.FathomEvents.com or at participating theater box offices. Fans throughout the U.S. will be able to enjoy the event in select movie theaters through Fathom’s Digital Broadcast Network.